In a small bowl, mix together all dry rub ingredients. 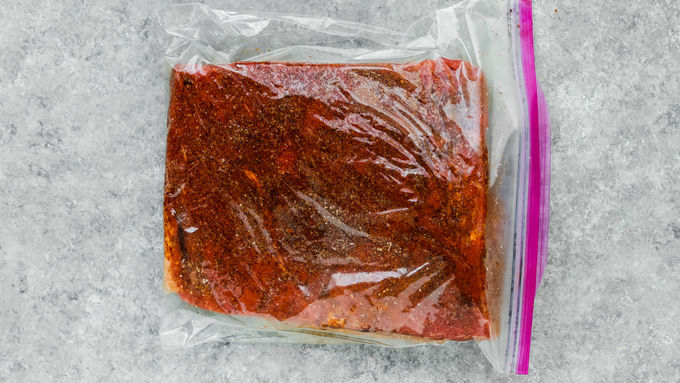 Rub the entire brisket with the spice mixture and place in a gallon-sized plastic bag. Seal and refrigerate for at least 1 hour, or up to overnight. Preheat the oven to 350°F. 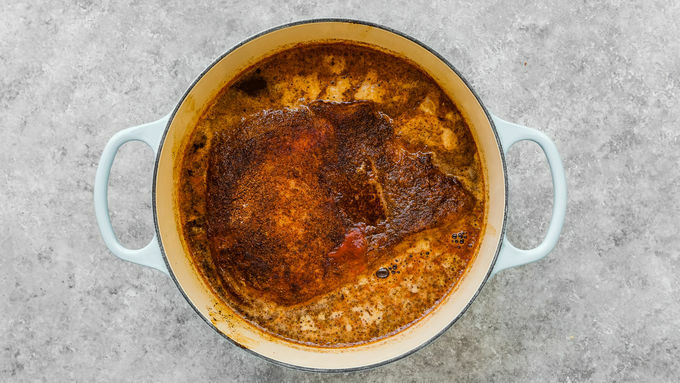 Place seasoned beef in a Dutch oven or roasting pan and roast, uncovered, for 1 hour. Add tomato sauce and Coca-Cola™. Cover pan tightly and continue cooking for 3 to 3 1/2 hours, or until fork-tender. 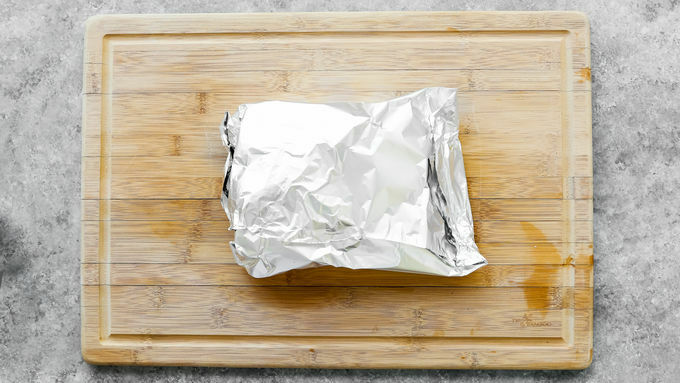 Remove from oven, cover with aluminum foil and let rest 15-20 minutes before cutting. Trim the fat and slice meat thinly across the grain. Serve warm with extra sauce. For a thicker sauce: strain sauce to remove any solids, and cook on the stove over medium heat until the liquid reduces by half. Add 1 tablespoon cornstarch. Adjust seasoning, if needed, and cook, stirring constantly, until thickened. Brisket is easy to make, but it’s a tough cut of meat that needs to cook for a long time. (Don’t rush it!) Many people prefer to cook it in an enclosed smoker, but I like to cook it slowly in a pan in the oven. This is one of those super-easy recipes that tastes like you spent the whole day slaving in the kitchen. While you definitely need to allow for plenty of cooking time, there’s hardly any effort involved. You just need a few ingredients and a little patience to get a melt-in-your-mouth, delicious piece of meat. 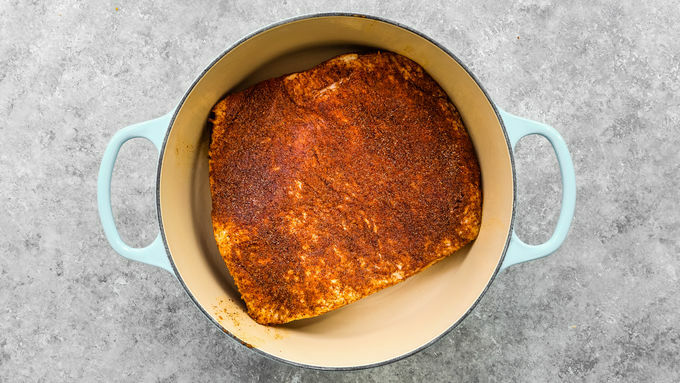 Most of the prep work and cook time is hands off, so the hardest part of making this brisket is waiting—patience!—while your house fills with delicious smells. 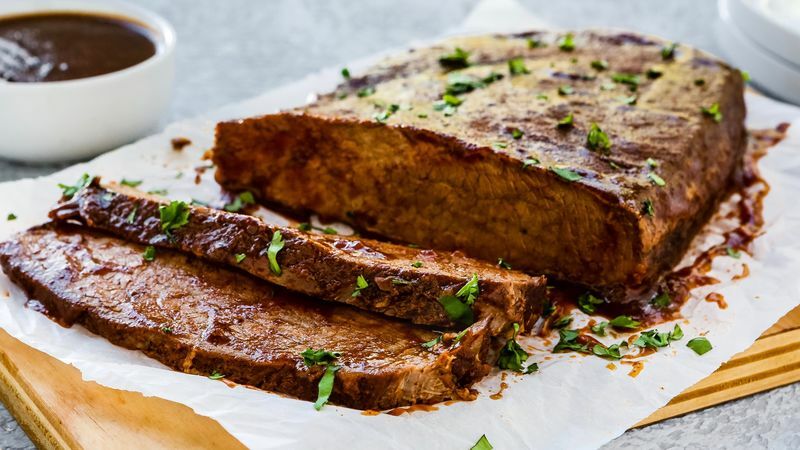 This brisket is delectable all by itself or served over rice, mashed potatoes or pasta. You can even serve it by itself, or on toasted sandwich rolls with melted cheese. Either way, I’m sure it will quickly be added to your dinner rotation. Don't forget to pour the extra sauce over the top…yum!